"He is a rare-breed attorney who has full understanding of the law, full understanding of accounting and knowledge of how they mix." Co-leader of the firm's national White Collar, Investigations and Securities Enforcement and Litigation team, John Carney is a former Securities Fraud chief, assistant United States attorney, U.S. Securities and Exchange Commission (SEC) senior counsel and certified public accountant at a "Big Four" accounting firm. He is a seasoned advocate who represents public and private corporations and financial institutions in complex civil, regulatory and criminal law enforcement investigations and litigation, and advises and defends corporations and senior officers on FCPA compliance, investigation and defense. His experience conducting investigations of possible FCPA violations and other potentially improper foreign country-based financial transactions has included working on major matters in the BRIC countries – Brazil, Russia, India and China. Having litigated for, and against, the U.S. government, he strongly encourages clients to take preemptive governance and remediation measures to mitigate legal and reputational risk in today's increasingly aggressive law enforcement environment. 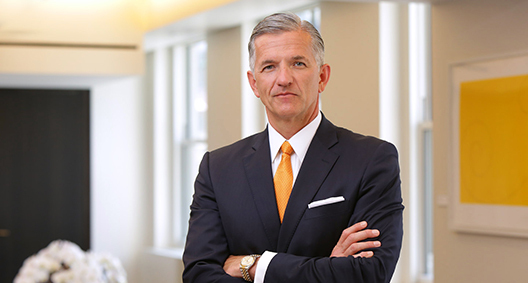 Based on his success representing institutional and individual clients in complex regulatory and law enforcement matters, John was recently listed as one of the best securities enforcement defense lawyers in the U.S. in the Securities Docket "Enforcement 40." He is ranked in Chambers USA and is also certified in financial forensics by the American Institute of Certified Public Accountants. He lectures extensively at domestic and international conferences and training seminars on anticorruption and anti­money-laundering laws, corporate governance, compliance and disclosure, insider trading, securities, tax and other financial crimes, and defending complex and multijurisdictional civil and criminal cases. Selected by the SEC to serve as federal court-appointed receiver of the MK Group, a complex family of hedge funds operating a Ponzi scheme through numerous investment companies and affiliates in the Cayman Islands, the U.S. and Latin America, John has recovered more than $300 million of misappropriated assets for defrauded offshore financial institutions and private investors, and directs the management and liquidation of more than a dozen private equity investments and other financial assets of the receivership. Served as lead audit and compliance monitoring counsel to the independent examiner of the Bank of New York, under a nonprosecution agreement imposed by the Department of Justice (DOJ) for systematic failure to comply with the U.S. Bank Secrecy Act and related anti-money­laundering and know-your-customer laws; conducted detailed forensic management and operational assessments; and recommended and implemented enhancements of internal controls, customer and account onboarding and verification processes, training, and compliance policies and procedures. Served as lead nationwide prosecutor in "Operation Hot Money," a notable three-year FBI and IRS money laundering, tax evasion and fraud investigation of numerous offshore banks and their related correspondent banks in the U.S. Coordinating the efforts of dozens of federal agents and prosecutors from the DOJ Tax Division in Washington, D.C., and U.S. Attorney's Offices in New York, Miami, New Jersey and elsewhere, the investigation of more than 1,500 individuals and corporations resulted in the collection of hundreds of millions of dollars in unpaid taxes, penalties and fines. Highlighted by The New York Times for its "unprecedented insight into banking in the Cayman Islands," the case served as the catalyst for major hearings on tax evasion and money laundering by the U.S. Senate's Permanent Subcommittee on Investigations. In recognition of bringing one of the largest offshore tax evasion cases in history, the U.S. Attorney General personally presented John with the distinguished Director's Award. During nearly 15 years with the DOJ and SEC, investigated and prosecuted numerous high-profile criminal and civil securities and tax cases. Advised a public corporation and board of directors in an SEC stock option backdating investigation. Counseled a multibillion-dollar global corporation on "best practices" corporate governance and compliance matters, including revision of customer transparency policies. Successfully represented the former CFO of a Fortune 50 company in multiple federal and state proceedings alleging accounting, disclosure and securities fraud in connection with a multibillion-dollar accounting restatement over a five-year period. Advised the chairman and CEO of a multibillion-dollar public company during internal and SEC investigations relating to alleged revenue recognition, internal control and governance misconduct. Acted as lead partner in representation of an international fund manager in a multijurisdictional criminal insider trading investigation. Served Her Majesty's National Crime Agency as an expert witness on the use of U.S. securities fraud violations warranting asset forfeiture sanctions under anti-money-laundering laws. As special attorney under the authority of the U.S. Attorney General, led the largest accounting fraud prosecution in U.S. history, the $14 billion Cendant accounting and securities fraud case, in an eight-month trial that resulted in the conviction of Cendant's former vice chairman on all counts, including conspiracy, securities fraud and submitting false filings to the U.S. government. As senior counsel with the SEC Division of Enforcement in Washington, D.C., investigated and successfully litigated numerous cases charging violations of federal securities laws, focusing on complex financial fraud, fraudulent disclosure, auditor misconduct, insider trading and manipulation of government bond markets. As trial counsel for the SEC Division of Enforcement, successfully tried the civil fraud case against Bank of Boston for failing to disclose material inadequacies in its loan loss reserves, and investigated tax law violations by Salomon Brothers that resulted in the entry of an injunction and imposition of a $290 million fine against the investment firm. As chief of the Securities and Health Care Fraud Unit of the Office of the United States Attorney for the District of New Jersey, oversaw all securities and healthcare fraud investigations and prosecutions; successfully prosecuted numerous Fortune 500 companies for financial statement and disclosure fraud; coordinated investigations and prosecutions with the SEC, New York Stock Exchange, National Association of Securities Dealers, Community Futures Trading Commission, FBI, Postal Inspection Service, state securities regulators and other law enforcement agencies; and managed implementation of the Sarbanes-Oxley Act of 2002, securing the first successful prosecution of a CEO for violating the act's financial statement certification provisions. Served more than five years as a member of the DOJ's National Securities and Commodities Fraud Working Group, as well as the SEC's Mid-Atlantic Enforcement Group, coordinating domestic and international investigations of corporate corruption, securities fraud, FCPA violations and disclosure violations. John Carney to Speak at Securities Enforcement Forum in Washington, D.C.
New York Law Journal: McNulty Memo: Changes Game or Keeps Congress Out? Division of Enforcement: Washington, D.C.